For all the hate fired at Nickelback, they’re not that bad. They’ve got some pretty agreeable songs, and they’re not short on big, straightforward hits that everyone knows every word to. The reason that Nickelback get so much backlash is probably because of the number of imitators they’ve spawned, bands who think they can reach a similar level of success by copying the exact same formula. Suffice to say it doesn’t work, and just leaves a litany of clones treading water with a muddy sound and utterly base attitudes. But what’s even worse are the imitators of those imitators, diluting the sound down even further to its most artless derivation. Think those bands don’t exist? Just look at 3 Pill Morning, whose sophomore album Never Look Back is the perfect example of what 21st Century rock music shouldn’t be. You can tell 3 Pill Morning were formed in 2004, because they sound like they’re still stuck there. Never Look Back sees them stretch their mix of fetid post-grunge and nu-metal’s dying breaths across eleven tracks of damp, muddy riffs and typically over-earnest vocal yearning. Admittedly Jeff Stebbins doesn’t have an awful voice – it can sometimes be over emotive but is passably melodic – but it’s just so nondescript compared to the litany of similar vocalists stuck in the early 2000s. The rest of Never Look Back is pretty much the same as well, stagnant post-grunge that mines whatever dregs sit at the bottom of a barrel in favour of lowest common denominator pandering rather than any sort of artistic freedom. At least when Adelitas Way released Getaway earlier this year there was some sort of drive and energy to it that really made a difference; by comparison, 3 Pill Morning wade through tar with the rest of the genre’s has-beens. As for the songs themselves, they’re pretty much what you’d expect, namely the same colourless, faceless slurry pumped out by numerous C-list, obviously American radio rock bands. Okay, Escape manifests itself as a solid slice of widescreen radio fodder, but beyond that, it’s slim pickings in terms of quality. It’s difficult to really evaluate, as Never Look Back is so fundamentally by-the-book that there are so few moments to pick out that even stir any sort of emotion other than nonplussed. And when it does stand out, it’s not for the right reasons – Vultures is the typical ‘tough guy with a sensitive side’ ballad framed by a flimsy social context, and The Queen feels so meat-headed in its macho man posturing that it borders on obnoxious (not to mention the domestic abuse implication that comes halfway through). But where 3 Pill Morning are at their laughable worst comes in their attempts for some contemporary relevance, namely by shoving some random electronics in any free moment that they can be crowbarred in. Ignoring the fact that assuming that a few synth lines immediately equates to modernity is facetious in the extreme, the integration is so poor and ham-fisted that at times, it literally feels like a binary shift between guitars and electronics. Tonight I Wrote A Song For You is probably where they do it best, but Out The Door and Kill For You feel like the products of musicians who have no clue of how a smooth rock / electronica fusion actually works. To put it completely straight and to the point, this is not a good album at all. Where rock is the most exciting and boundary-free that it’s been in some time, 3 Pill Morning have inexplicably decided to channel the most generic, lukewarm brand of radio rock for an album that really doesn’t work. It really feels as though 3 Pill Morning have a clearly defined audience in mind for Never Look Back, and it does all the necessary work to appeal to them – the only places where this sort of thing is either suitable or relevant are monster truck rallies and WWE pay-per-view adverts. They’ll probably have gone platinum in America this time next year. 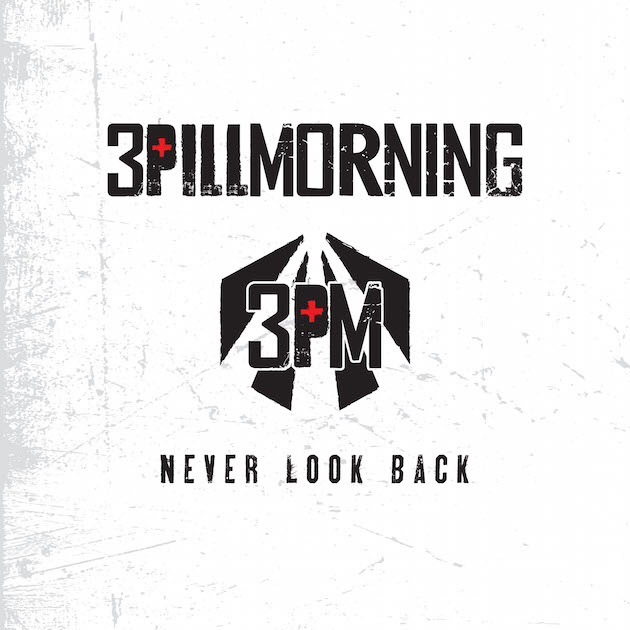 ‘Never Look Back’ by 3 Pill Morning is released on 29th July on Countdown Entertainment.